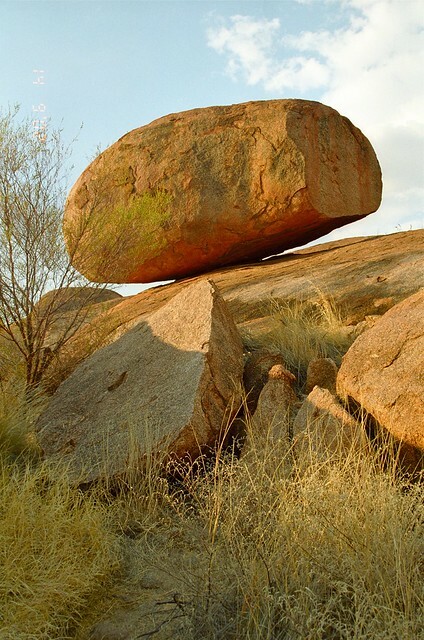 Devils Marbles (aka Karlu Karlu) Conservation Reserve, near Warumungu, Northern Territory, Australia is a stunning landscape full of gigantic rounded granite boulders, many of which are precariously balanced on top of another rock. 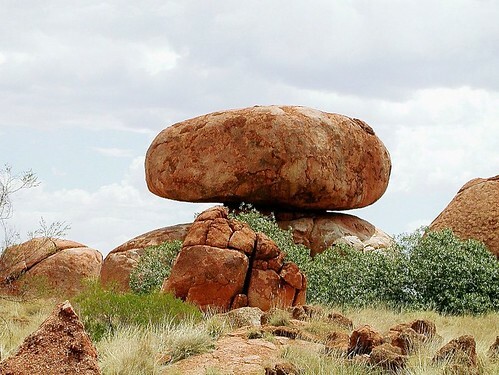 Natural processes of weathering and erosion have taken millions of years to created many boulders of amazing shapes from the remains of molten lava. 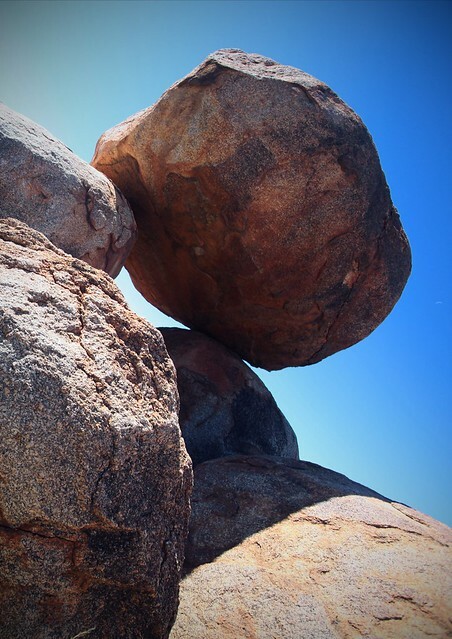 Most famous of these boulders are two precariously balanced round boulders, which are also called "Devil's Marbles". 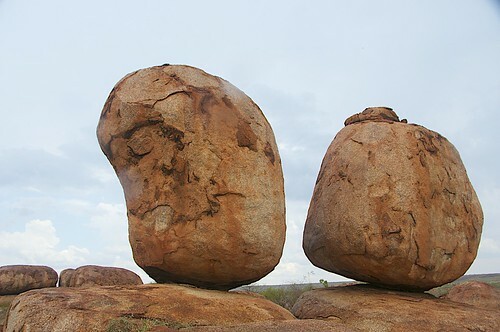 Besides these two rocks there are other round rocks also in the region hence the name Karlu Karlu which is an Aboriginal term for round stones. 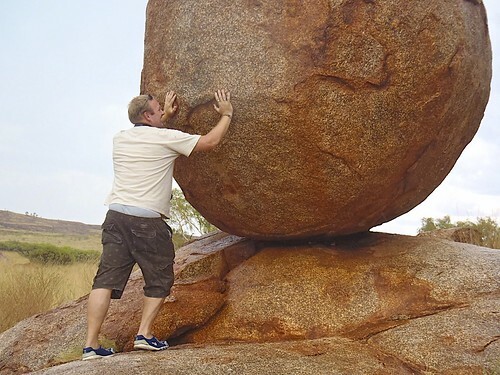 This one is ready to roll over but has remained steadfast for millions of years. 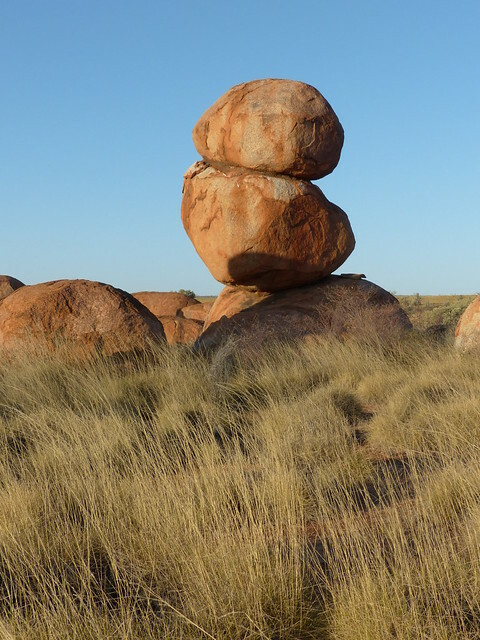 Nature's perfect clean cut in two halves.